ONLY 24 HOURS LEFT TO CLAIM YOUR BUY 1 GET 1 50% OFF CODE! What's Special About the Le Creatif Bamboo Collection? The Le Creatif Bamboo Collection is for those looking to take their bedding comfort to the next level. 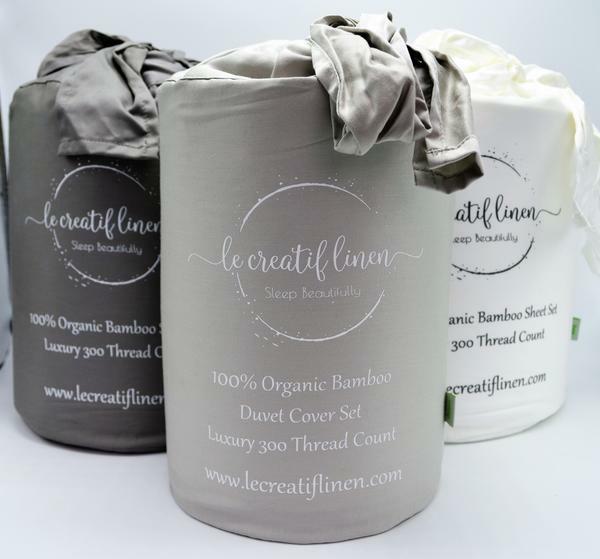 Both elegant and beautifully finished, the 100% Organic Bamboo Sheet Set in 300 thread count is said to be softer than 1000 thread count in cotton. Curl up in the silky-soft comfort of bamboo and experience the best sleep of your life. Redefine your sleep comfort! Our bamboo sheets are the softest, most comfortable sheets you can find. You will look forward to climbing into your bed at night. Softer than silk, cotton and cashmere. What more could you ask for? You work hard and deserve a good night’s rest. 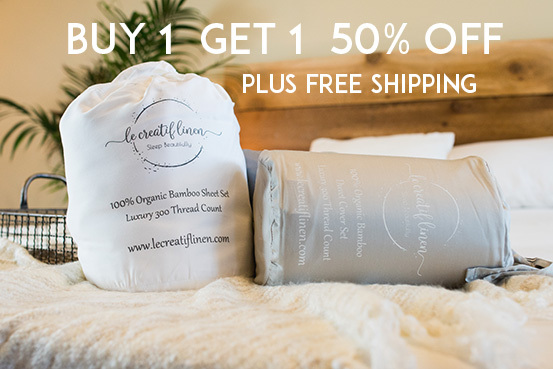 Better sleep for a better quality of life awaits you here at Le Creatif Linen.